Why and How God is Kabeer (All-Great)? 1- All things belong to Allah. Whatever He takes away is definitely His, and whatever He gives, out of His grace, is also definitely His. If you firmly believe in this fact, you have no problems in the life of this present world. Therefore, when we get to know Allah’s divine name “Al-'Adl” (the All Just), we know how to color ourselves with such good qualities and manners that please our Lord, Allah, in the light of this divine name of Allah. That is why religious scholars say that we should beware of extremes of both exaggeration and negligence. We should always be moderate, be right and just. How God is Al-Jabbar (The Compeller)? Al-Jabbar is Allah alone because He is far above human perception or conception. He cannot be encompassed by the human minds, nor can He be seen by the human eyes or perceived by the human minds. Even if all mankind contemplate and deliberate Allah’s Beautiful divine names and attributes till the end of the world, they cannot possibly, and will never be able to, encompass Allah’s divine holy self. The Arabic word “Ilah” (god) is derived from the word “Aliha”, which means: “to worship”, which, in turn, means: “to love and obey”. In other words, worship is made up of love and obedience. Obedience without love is not worship, nor is love without obedience: Worship is utmost love combined with utmost obedience. Once again: the word “’Abada” (to worship) means “to love and obey”, but who is the one worshiped? It is Allah, because, as religious scholars say, no one but Allah has the right to be worshiped. Everything in existence is under Allah’s purview. His sight not only compasses the visible, but also every state of existence and every circumstance. Whenever Allah creates something, grants something, brings something to life, causes death, guides someone, or allows someone to stray, it is in accordance with His wisdom, His perfect knowledge, and complete vision that nothing can escape. This provides the greatest “quality assurance” for a believer’s worldly efforts, not just for matters of worship. This is because a believer remains conscious of the fact that nothing we do, however small, escapes Allah’s attention. This is coupled with the awareness that Allah loves for us to do our best and to be proficient and conscientious in our work, and that Allah will recompense us in the Hereafter far beyond whatever worldly profit we might earn. Knowing that Allah is All-Hearing and All-Seeing protects the believer from committing sins. Since Allah is taking account of everything we do, there is no escape from Him except to seek refuge with Him. The Arabic word latīf has many meanings. In essence, it connotes “gentleness”. However, it is used in many contexts and takes on a wide spectrum of meanings depending on the manner in which it is used. When we describe a person with the word latīf, we are saying that he or she is a kind person. When referring to someone’s knowledge, it communicates an acute awareness of subtleties. When describing someone or some thing’s physical being, the word latīf means that it is either delicate or very hard to perceive. As a name of Allah, al-Latīf appears in the Qur’an seven times, conveying a number of these meanings. Allah knows the intricacies of all affairs. He knows where every benefit is to be found, no matter how hidden or indirect, because He is the Creater of those benefits. From His immense kindness to His creatures, He delivers those benefits to them, even when they are unable to determine for themselves what is good for them. Allah shows His kindness to us by not taking us to task immediately when we sin. Instead, Allah often guides us in our lives in subtle ways that we are not aware of, and in doing so He helps us to return to Him and to conduct ourselves in ways that please Him. Allah also places kindness in the hearts of His creatures so that they help one another. He places children in the care of their parents and, when the parents reach old age, He places the parents in the care of their children. He places all human beings under the care of His angels. Allah is not only Kind in what He provides for us. He shows His kindness also in what He withholds from us. Allah, out of His kindness, gives us what is best for us and withholds from us what is not in our best interests. He does so according to the dictates of His wisdom, mercy, and justice. The name al-Salām also connotes “soundness”, the idea of being free from blemish. It conveys that meaning that Allah is free from every shortcoming and deficiency, like fatigue, sleep, sickness, or death. Allah’s existence is one of absolute perfection. This connotation of soundness, this freedom from blemish, extends to His actions: to what He gives and to what He withholds. When Allah keeps something from us, it is not due to stinginess or scarcity. Glory be to Allah above that! It is from His infinite wisdom that He withholds what He withholds from his servants. Some people are better off wealthy while others are better off poor. “Allah enlarges the livelihood of whom He will, and straitens (it for whom He will); and they rejoice in the life of the world, whereas the life of the world is but brief comfort as compared with the Hereafter.” [Sūrah al-Ra`d: 26] Likewise, some people benefit more by being healthy while others benefit more from experiencing illness. Allah knows what each of us needs and what is ultimately in our best interests. Allah is referred to as “the All-Aware” forty-five times in the Qur’an. The name sometimes appears by itself and sometimes in connection with another of His names. This meaning of this name is closely related to that of al-`Alīm (the All-Knowing). It is used, however, more in the context of Allah knowing secrets and things that are kept hidden. Therefore, this name is implied whenever the Qur’an discusses how Allah’s knowledge embracing all things visible and hidden and how nothing, no matter how seemingly imperceptible, escapes Allah’s awareness. An aspect of our knowing that Allah is All-Aware is the assurance that He knows everything about what we are going through as well as everything about the things that we do. When Allah recompenses us in this world and the Hereafter for our deeds, he does so knowing every aspect of what is in our hearts. Knowing that Allah is aware of our deeds, we should rush to perform as many good deeds as we can. Knowing that He is well-aware of our weakness, we should not hesitate to appeal to Him for help. Knowing that he is aware of our sins, we should turn to Him in repentance. The name in its emphatic form, Shakūr (Most Grateful), appears in the Qur’an four times. Though Allah accepts from us the smallest of good deeds, He is willing to forgive us the greatest, most wanton of sins. He multiples every good deed ten times, but He never punishes a sin for more than deserves, and that only if He does not forgive it. Moreover, if the sinner is penitent, Allah will certainly forgive that sin. Allah rewards us purely from His grace. If He were to punish us, He would not be unjust. The mercy He shows His creatures is far in excess of what they could possibly earn through their good deeds. But in spite of our shortcomings, Allah, in His immense gratitude, even praises us for the good deeds that we do. Recently, I found myself to be very lost. And this was alarming because I used to be a person who had direction. I thought I knew where I was going and what I was doing. But things started to fall apart, internally. I wasn’t sure anymore. And then I realized I had three choices; to continue to do what I was doing without putting in any extra thought, to give up entirely, or to re-assess and re-orient. And because this feeling persisted for a while, I realized something else. I came to know Allah’s attribute of Guidance. Sometimes this feeling of being lost can bring us closer to God. What is the meaning of this problem? Why are we stuck? We need to feel as though we do not know where we are going, because that is when we start searching. And that is precisely when Allah shows you that He is The Guide, Al-Hadi, and how life changes when the light of God is in it. Allah sustains all that is in existence, and He provides the sustenance for all living things. He creates the means by which everything lives and fulfills its needs. We benefit from the awareness that Allah is the Giver of Sustenance. It helps us to rely upon Him while we go forth in the Earth seeking our livelihood, planning our lives, and carrying out our business. This knowledge reassures us and enables us to engage in our practical worldly affairs with full commitment, while always remembering to beseech Allah for success, for we know that our providence is in His hands. Our faith that Allah is the Giver of our Sustenance reinforces for us our belief in His omnipotence and His all-encompassing power, since it is part of that broader meaning. Allah is not only the giver of our worldly sustenance. He sustains our spirits and our faith as well. He creates the means for our spiritual wellbeing and guides us to those means. The purpose of knowing Allah’s Name “Al-Wahhab” (the All-Giver) is to love Allah, Most Gracious, for love is the essence of faith. In fact, the Muslim religion is not only facts to understand and learn, but also feelings and emotions to live. A Muslim’s mind should believe not only in Allah’s existence, Might and Majesty, but also in His Beautiful Divine Names and Attributes. At the same time, a Muslim’s heart should abound in love for Allah, Most Gracious. I would like to put forward the following fact before my dear readers: What motivates man is his love more than his mind. Driven by his love, man sacrifices everything, but by using his mind, he may be convinced, he may believe, and he may be certain, but he does not move. 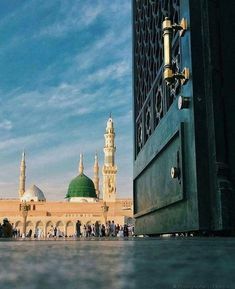 If we look upon Allah’s Beautiful Name “Al-Wahhab” from the perspective of our original pure nature and disposition, our heart will be filled with love for our Maker, Allah, Most Gracious. As soon as our heart is filled with love for Allah, we find out our Lord’s Infinite Divine Care, Love, Help, and Guidance to us, and we feel ultimate success and prosperity. The name al-Hasīb also connotes that Allah is sufficient to take care of all of our needs. We need no one else. How do you feel when are caught doing something wrong, but the person who catches you lets it go and doesn’t punish or embarrass you? There is a mixture of embarrassment, relief and gratitude. If you love the person you disobeyed, in general many would vow never to do the same and never to take advantage of their kindness and forbearance. Allah subhanahu wa ta`ala (exalted is He) is far above any analogy, but this is our state with our Lord every single day. We constantly look at, listen to and do things we know we shouldn’t. But Allah (swt) knows our state. And in most instances, He lets it go. He is al-Haleem. As humans, we appreciate forbearance. We appreciate being given chances to rectify ourselves before seeing the consequences of our actions. If there was a rule that you would be sent to detention for not doing your homework, wouldn’t you be grateful that your teacher let it slide? How about the second time she does so, or the third? What about when a police officer catches you speeding, but doesn’t give you a ticket? Many of us would feel relief and then check ourselves to ensure we don’t do the same thing again. So Allah’s forbearance is for us to return. And we should be grateful for this attribute, just like we would be grateful to anyone who overlooks our faults and mistakes.